While talking to my customers in my treatment room, I have realized over the years, that at least 75% of my patients do not know what compounds are exactly in their cosmetic products. This is alarming, especially if you are pregnant or have any other conditions such as auto-immune disease, for example. You should always be aware of what exactly you are putting on your skin and what are the side effects of the active ingredients. Patients should always disclose to their doctor or esthetician any health condition that they have. Then, we as providers can give our best advice and educate them on active ingredients and their benefits as well as side effects. Pregnancy is one of those stages in our lives where we expect to have that “pregnancy glow” and look even more beautiful than what we already are, right? Well, that was not my case, at least not during my first trimester. I was taking progesterone during the first twelve weeks of pregnancy, and my skin hated it. I had never had acne before, and this hormone was making my face explode. My self-esteemed seriously dropped to the floor. Even though, I wanted to treat this hormonal acne, I knew that I could not put just anything on my skin while pregnant. Many compounds are not safe to use while pregnant or breastfeeding for many reasons. Of course, if you type skin care and pregnancy online, you will get hundreds of articles about this topic, but do they come from a reliable source? I am a science girl, and I will always base my knowledge on scientific journals. So, I started researching into this topic and found that many compounds used in skincare products that seem harmless, can cause serious injuries to you and your baby. This is why you should always read labels and ask your doctor if a specific product is safe or not to use while pregnant or breastfeeding. I attended beauty school to get re-certified as skin therapist while I was pregnant with my second child. Even though I graduated as an aesthetician about 11 years ago back in my country Venezuela, I had to match credit hours with the state of Nebraska. In school, we had to give each other treatments all the time. My classmates practiced treating pregnant patients with me. However, There were many treatments and products that my classmates were not able to use on me because of my pregnancy, because they are not safe. Tazarotene, a prescription topical retinoid that is commonly used for psoriasis, acne and actinic skin (sun damaged). This drug is classified as category X and should not be used on pregnant women. Tretinoin (Retina-A, Renova), a category D drug; also a topical compound used for acne treatments. According to articles published on The American Society of Health-System Pharmacists, this drug is known to harm the baby. (Jick, 1993). Adapalene or Differin, is a topical retinoid-like compound that treats keratosis pilaris and acne. It is a pregnancy category C drug, and even though no fetotoxicity (fetal harm) was shown in humans, most obstetricians recommend staying away from this drug while pregnant. Retinoic Acid. According to the Embryo Project Encyclopedia, an excess of retinoic acid may have teratogenic effects (birth defects), such as malformations on the fetuses’ skulls, faces, limbs, eyes, central nervous system (Tantibanchachai, 2014). AHA (Alpha Hydroxy Acids) such as citric acid, glycolic and lactic acids are common exfoliators. Although not many studies have been performed on pregnant women, are usually safe to use on pregnant women topically if the concentration is 2% or lower. These compounds help in keeping your skin smooth, hydrated as well as refining your pores. Benzoyl peroxide. Another drug for acne, it is considered safe to use during pregnancy if the concentration is lower than 5%, even though not sufficient data on pregnant women have been published. (Worret, 2006) (Akhavan, 2003). A compound commonly used for dark discolorations. A condition called melasma or “pregnancy mask” is something that many pregnant women are victim of. Hydroquinone helps in reducing the pigmentation. It is a class C drug, and although there are not enough studies performed on pregnant humans or non-human animals to assess your risk, some physicians see no issue with using this compound. (Mahe, 2007). Pregnant/ nursing women are not exempt of sun damage or risk of having skin cancer. Therefore, the use of daily sunscreen should always be mandatory. Nonetheless, physical blockers such as titanium dioxide and zinc oxide is always a better choice because they do not penetrate the skin. Topical Steroids. Hydrocortisone is a drug commonly used for inflammation, eczema, dermatitis, psoriasis, itch and rashes. This drug is usually not recommended to pregnant or nursing women for long period of time or high concentration. Although no birth defects in human babies have been recorded, stronger corticosteroids are category C drugs that are teratogenic to non-human animals. Metronidazole and azelaic acid, Class B drugs used for rosacea skin, are considered to be safe to use during pregnancy. Antioxidants such a niacinamide, vitamin C, peptides; are considered category A, therefore it is safe even though there is not sufficient data on pregnancy effects. Some of these compounds are considered to be safe during pregnancy, but at the same time they mention that not sufficient data has been collected. My personal opinion and experience is that you should stay away from products that contain these compound. If scientists or physicians are not sure if they could be harmful to you or your baby, it’s always best to wait until you’re not pregnant anymore to try them. I would not risk my baby’s health in a million years. Before attending school in Nebraska, I was using a professional skincare line called Bioelements. Bioelements is a line that I used for a few years because I loved the results as well as the smell of their products. At school, I was introduced to Image Skincare, another clinical professional skincare line that was developed by physicians and chemists and is, of course parabens-free. I absolutely loved their products since the first day I started using them. We were trained on what products to use on specific skin types and skin conditions, and as a preggo lady, I had two choices with them. The Max Stem Cell line, which is my favorite and targets everything I want to target on my skin. The Max stem cell line is usually great for most skin types and targets fine lines, large pores, hydration and brightness.The Ormedic line, which smells amazing by the way, uses copper, aloe and chamomile extract to soothe and calm my skin. This balancing line is awesome for normal/combination skins. You can find both lines on my shop. https://www.keylasanchez.com/product-category/skincare/ I’m still using both lines on a daily basis because I am nursing my baby and want to stay on the safe side. For body care, stretch marks are a huge concern among my pregnant patients. My best advice is to keep the skin moisturized, drink as much water as you possibly can and watch your weight. Vitamin C products and in your diet helps in reducing the risk of getting stretch marks. Although this is a condition that is mostly dictated by your genes, it does not hurt to use a good moisturizer. I personally used BASQ NYC Intensive treatment Stretch Mark Butter. This products contains biopeptides, which helps in skin elasticity. Darutoside, which helps in collagen renewal and therefore skin elasticity. Algisium-C that supposedly helps to heal, smooth and improve the appearance of stretch marks. I do not have any stretch mark, however I didn’t get any with my first pregnancy either, and I really can’t remember exactly what I used. What I know is that everyday after taking my shower, I would moisturize my belly. I drank almost a gallon of water a day and I avoided scratching as much as I could. At home, you should be cleansing your skin everyday with warm water and a gentle cleanser. Exfoliate your skin to remove dead cells and debris from your epidermis, only once or twice a week if the exfoliator is gentle enough. Every morning wear your moisturizer with a physicial blocker sunscreen (a minimum SPF of 30) in every area of your body that will be exposed to the sun. At night don’t forget your eyecream with a night moisturizer designed especifically for your skin type. Be aware that even Oily skins needs a moisturizer, just needs to be the right one. 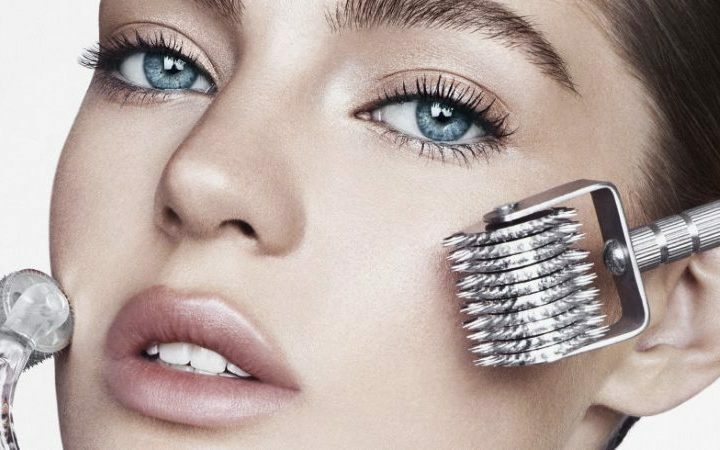 Get your professional facial treatments regularly to keep your skin healthy and glowing. Your dermatologist or esthetician will know what is best for your skin. Remember that your skin is your biggest organ, and you must keep it healthy in order for it to function optimally. 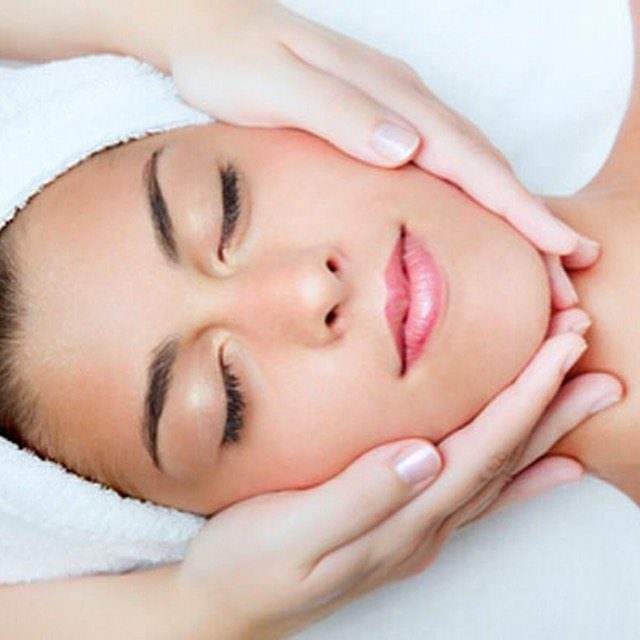 Facials or body treatments are not a luxury; they should be part of your healthy routine. Watch what you eat. Include plenty of fruits and vegetables in your diet, especially citrus fruits with high amount of vitamin C. Vitamin C boosts your immune system and is great for your skin. Drink between 10-12 cups of water daily. Water is your best friend whether your pregnant or not. Skincare treatments at your provider’s office, skincare routines at home and nutrition are key for a healthy and glowing skin. Differin. (n.d). Retrieved from https://www.drugs.com/pro/differin.html. FDA Pregnancy Categories. (n.d.). Retrieved from https://www.drugs.com/pregnancy-categories.html. Tantibanchachai, C. (2014). Retinoid as Teratogens. In the Embryo Project Encyclopedia. Retrieved from https://embryo.asu.edu/pages/retinoids-teratogens. Vinson, Terry. That “in the know” glow [online]. Professional Beauty, Mar/Apr 2014, Apr 2014: 48-49. Thank you so much for commenting. I’m really glad you liked it!